Singer-songwriter Jaya Logani understands that love knows no boundaries and is forging a path for herself at the cultural intersection she occupies. 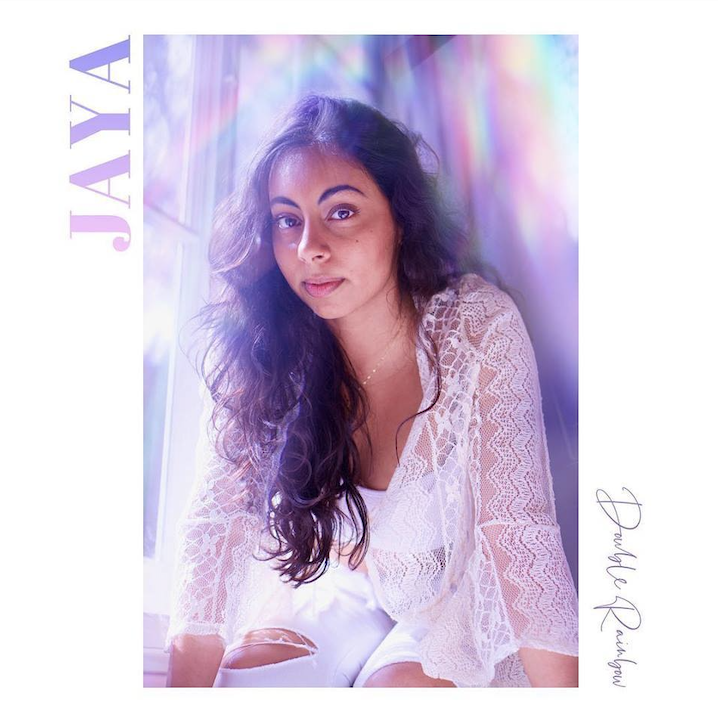 Logani, a senior majoring in music industry who performs under the moniker JAYA, released her single “Double Rainbow” April 4 on Spotify. The Daily Trojan spoke with the rising artist about her musical career, creative process, Indian American heritage and plans for the future. Daily Trojan: When did you first realize that you wanted to pursue a career in music? Did you always want to write songs, or did you have an “aha” moment? Jaya Logani: My parents are both doctors … actually my grandparents are the ones who came from India, but my parents were toddlers when they came, so I’m second generation. So I have a lot of influences from my Indian culture, but also I’m such an L.A. girl. When I was 10, I had a formal sit-down with my parents, and I was like, “This is what I want to do with my life. I want to be a popstar.” And they were actually amazing about it. They took me seriously. When I was 10, I started writing songs and my dad would always take videos. He had a patient who ended up being a Grammy-nominated music producer. He showed that guy a video of me, and when I was 13, I actually got to start doing music. I had to prove to him that I could write my own songs, because he wanted me to sing songs that had already been written. DT: How did you write “Double Rainbow.” What is the song about? DT: Do you ever get writer’s block, or do songs come to you naturally? JL: I am always writing things down. Someone will say something and I’ll think, “That would make a good title.” but the best ones are those that I am not expecting, the ones that come out of nowhere. “Double Rainbow” was actually one of those. This sounds so cheesy. I was waiting for hash browns to be made and I was in my room, strumming my guitar and waiting, and there was this moment when [I realized] something was about to happen, and it was not the hash browns. I grabbed my phone, and in 10 minutes, the song wrote itself. DT: How do you describe your style? Is “Double Rainbow” different from your other works? JL: I call it pop, but that is a pretty broad genre. This first song is very singer-songwriter, and I’m actually going to put out another song April 26 during study days. That one’s a little more upbeat, and fits into the idea of empowering women. My EP is five songs, written at different points in my adolescence. “Double Rainbow” was [when I was] 15. “Expectations” is from when I was 17, when I graduated high school. It’s about body image, and also college stress and all the expectations, all the “supposed tos.” I wanted to be perfect. “Down Low” is from when I was 19. The next set is going to be Indian fusion, R&B, hip-hop and pop. DT: Do you have a team that make singles like “Double Rainbow” a reality? JL: I’m so lucky. My best friends here are pretty much my team, and they are super talented. We’re all in the “DIY Marketing” music industry class where we form a team and we figure [out how to market music] for the rest of the semester. My friend Nick Smiley does all my visuals; we do photoshoots together, he [makes sure that I am] involved in the decisions on how I want the cover to look. We’re going to do a music video together. Emily Veh helps me book all my shows, my friend Madie Young is in charge of organizing and pitching to influencers and my friend Keri Srebnick is the behind-the-scenes queen who films everything that goes on and make these funny vlogs. I am so lucky that I have them. DT: Can we expect to see more songs in the near future? JL: I have a bunch of songs in the vault, but I don’t want to put them all out at once … It’s a streaming culture. You can’t put out an album with 20 songs — no one will listen to all that. People want to consume stuff really fast. To keep the ball rolling, you always have to have new stuff. I like that. I think it keeps things exciting. I think I finally reached that point where I don’t feel like I have to be perfect, so I can actually talk about it and put it out. That was part of the whole production process, too. I just need put it out and enter the real world knowing that I am done with that chapter and ready to move onto the next thing. DT: How does your identity play a role in your music? 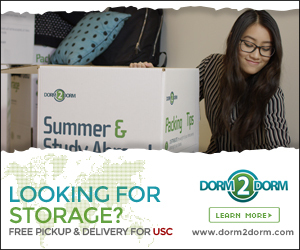 JL: I had always been the one Indian girl in my class, and when I came to USC there were thousands of Indian kids. I had to step it up. My next set of songs will be influenced by those experiences. I feel like being Indian is one culture and being American is another culture, and I’ve lived my life trying to be a blend of the two. There are a few actresses [like Mindy Kaling] who are starting to be that wave of Asian Americans who are Asian and American. A huge goal of mine is to bring those two together and bring them into the light in America. It’d be nice to be portrayed as super Indian and super American. I want to show that you can be both. I’m really excited to make the blend happen.